Why do people attend meetings? The humorist Dave Barry pretty much had his finger on the pulse of things with that observation. Economists seem to have a good grasp on the topic as well. John Kenneth Galbraith tells us that Meetings are indispensable when you don’t want to do anything, while Thomas Sowell cautions People who enjoy meetings shouldn’t be in charge of anything. Troop meetings and crew meetings and pack meetings and den meetings and patrol meetings and summer camp meetings and Cub day camp meetings and high adventure meetings and district meetings and commissioner meetings and executive committee meetings and troop committee meetings and pack committee meetings, and for Pete’s sake, subcommittee meetings to get ready for the other meetings. Why is Scouting so invested in meetings? It’s not because we are gluttons for punishment or don’t have any better way to spend our time. Our Scouts meet so they can do fun things together, plan their next outing or prepare by learning the skills they’ll need. Scoutmasters have meetings – conferences – with Scouts to help them assess their experience in the troop. And committees meet to hash out the business of the unit, district. or council. These business meetings are to plan and prepare for the action that takes place after the meeting ends. So why do people voluntarily attend meetings? They are looking for some way to help, even if they don’t come right out and say so. The first two reasons make sense, but the third is one that you should pay attention to. 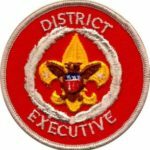 Every year around this time, when new Scouts cross over to our troops, and in the fall when packs are getting organized and registering new members, we announce that our committee will be meeting and all are welcome to attend. And every year at these committee meetings at the natural turning points of our units, we often see parents who are new to us come and sit in. These visitors to our committee meetings are telling us something: They care enough about Scouting and their son’s experience to come to the meeting, and they will most likely contribute in some way if you just ask. Talk to them before the meeting if you can. If they’re crossing over with their son, find out what, if anything, they did in the pack. See what their interests are. During the meeting, if there’s an opportunity, go to them for an opinion on a topic that’s being discussed. If you do a final round of comments or observations before you adjourn, be sure to include them. After the meeting, talk to them again. See if they have any questions. Sometimes the things they ask about are the things they’re most interested in. As committee chair, I normally gave first-year parents a break from asking them to volunteer, but if someone comes to a couple meetings, they’re probably asking on their own behalf. We’ve had assistant Scoutmasters and committee members join us right away or within the first couple months, so don’t count them out. 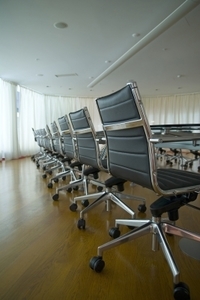 Leadership consultant Dan Rockwell said that the person who leaves a meeting room without something to do shouldn’t have attended in the first place. Consider that people attend meetings because they want to help. Your job is to help them find a way. Next PostNext What kind of a leader are you?